Product #60800 | SKU HLX-VEN-V | 0.0 (no ratings yet) Thanks for your rating! 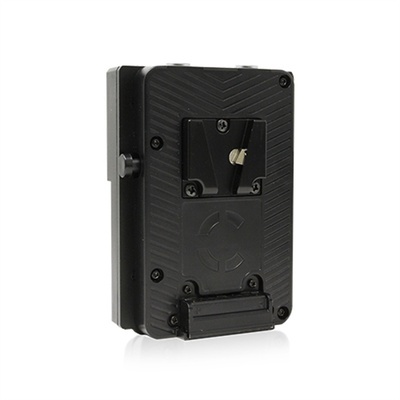 The Core SWX Helix V-Mount Battery Plate for Sony Venice mounts to the Sony Venice with v-mount back with and without the RS7 module, and has a v-mount front. RS loops through port for start/stop. It passes standard 11-17vdc to the camera. With HELIX packs, 100% efficient power is transmitted to 3pin Fischer. With 14v packs, the mounting plate boosts voltage to 24v to 3pin Fischer connectors.